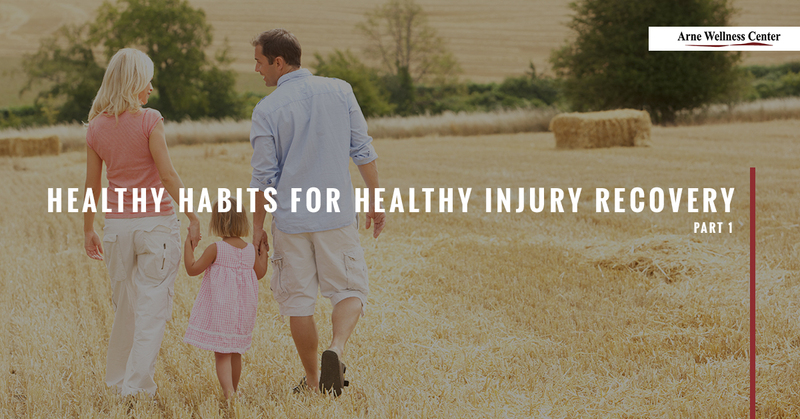 Practicing healthy habits regularly is always important for maintaining a healthy body, but this becomes even more essential during injury recovery. When you suffer an auto injury, it can damage both hard and soft tissues, interfere with proper nerve function, and misalign your spine. In order for your body to properly heal and recover, it needs nourishment, exercise, and rest to restore proper function, range of motion, and mobility. What’s more, practicing healthy habits every day will only enhance the auto injury treatments you receive with us at Arne Wellness Center here in Littleton. Let’s take a look at some of the best healthy habits to implement into your daily routine after you’ve been injured in a car accident. Please continue reading below to learn more. Vibrant fruits and vegetables and dark leafy greens provide nutrients and antioxidants that help fight cellular inflammation. Try adding antioxidant-rich blueberries, strawberries, and blackberries that fight inflammation and give your immune system a healthy boost. Pineapple is another anti-inflammatory fruit that contains bromelain, an enzyme that not only reduces inflammation, but also stimulates collagen production for soft tissue recovery. Green leafy vegetables contain healthy flavonoids and pack an antioxidant punch that can knock out inflammation and restore cellular health. Whether you prefer eggs, chicken, turkey, fish, or beef, the choices are endless. Adding protein to each meal will balance your blood sugar levels, alleviate inflammation, and stimulate healthy tissue restoration. Many people think that once they have an injury, they should stay in bed and rest for extended periods of time. While many injuries will inevitably cause people to remain in bed during part of their recovery, staying active, stretching, and getting plenty of exercise is of the utmost importance during injury recovery. For those who have suffered a serious injury that has led to hospitalization, their nurses and physical therapists will come to them to assist with both passive and active stretching and exercise to facilitate a healthy recovery. For others who are more mobile after suffering an injury, staying active is essential to the healing process. Exercise strengthens muscles, joints, and other tissues, and stimulates the release of endorphins (feel-good chemicals responsible for balancing emotions and blocking pain) which can alleviate pain and discomfort. There’s no need to run a marathon or climb a Fourteener right after an injury, but performing a low-impact exercise like walking, bicycling, and swimming can aid in the recovery process. These are just some of the healthy habits to incorporate into your daily routine after suffering an auto injury, so join us for part two of this short blog series as we continue looking at more healthy ways to recover from an auto injury. If you’ve been in an accident here in Littleton and would like to begin an effective auto injury treatment, call Arne Wellness Center for an appointment.